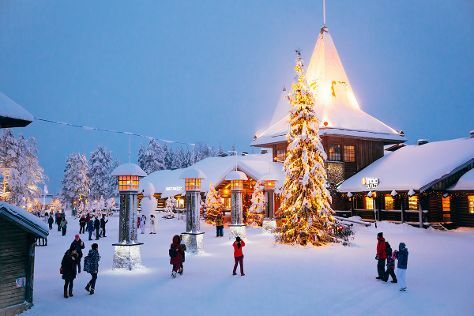 On the 13th (Mon), look for gifts at Your Piece Of Finland, get engrossed in the history at Arktikum, then explore the fascinating underground world of Syvasenvaara Fell, and finally get in on the family fun at Santa Claus Village. For reviews, more things to do, maps, and tourist information, read our Rovaniemi tour builder app . Bengaluru, India to Rovaniemi is an approximately 18-hour flight. You can also do a combination of flight and train; or do a combination of flight, taxi, and bus. You'll gain 3 hours traveling from Bengaluru to Rovaniemi due to the time zone difference. Plan for cooler temperatures traveling from Bengaluru in May, with highs in Rovaniemi at 12°C and lows at 3°C. Finish up your sightseeing early on the 13th (Mon) so you can catch the train to Oulu. Oulu is a city and municipality of inhabitants in the region of Northern Ostrobothnia, Finland. On the 14th (Tue), hunt for treasures at Kauppahalli, look for all kinds of wild species at Hupisaaret Park, then stroll through Ainolan Puisto, and finally take in nature's colorful creations at Botanical Garden, University of Oulu. To plan Oulu vacation without wasting time, ask Inspirock to design an itinerary. Take a train from Rovaniemi to Oulu in 2.5 hours. Alternatively, you can take a bus; or drive. In May in Oulu, expect temperatures between 14°C during the day and 4°C at night. Finish up your sightseeing early on the 14th (Tue) so you can travel to Tampere. 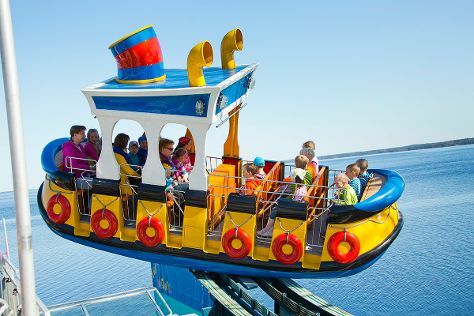 Kick off your visit on the 15th (Wed): see the sky in a new way at Sarkanniemi Theme Park. To find reviews, photos, maps, and tourist information, go to the Tampere visit planning site . Getting from Oulu to Tampere by combination of flight and train takes about 4.5 hours. Other options: take a train; or drive. In May, daytime highs in Tampere are 17°C, while nighttime lows are 4°C. Finish your sightseeing early on the 15th (Wed) so you can take a train to Turku. Start off your visit on the 16th (Thu): trek along The Archipelago Trail, have some family-friendly fun at Moomin World, and then test your problem-solving skills at popular escape rooms. Get ready for a full day of sightseeing on the next day: contemplate the long history of Turku Cathedral, let little ones run wild at Adventure Park, then see the interesting displays at Luostarinmaki Handicrafts Museum, then step into the grandiose world of Turku Castle, and finally browse the collection at Turku City Library. To find traveler tips, photos, and tourist information, read our Turku road trip planning tool . Traveling by train from Tampere to Turku takes 2 hours. Alternatively, you can drive; or do a combination of train and flight. Expect a daytime high around 17°C in May, and nighttime lows around 5°C. Finish up your sightseeing early on the 17th (Fri) so you can go by car to Helsinki. Kick off your visit on the 18th (Sat): take in the spiritual surroundings of Uspenskin Cathedral (Uspenskin Katedraali), don't miss a visit to Senate Square, browse the exhibits of Sea Fortress Suomenlinna, then take in the spiritual surroundings of Rock Church, and finally explore the world behind art at Museum of Contemporary Art Kiasma. Get ready for a full day of sightseeing on the 19th (Sun): appreciate the extensive heritage of The Esplanadi Park, then take in the architecture and atmosphere at Helsinki Cathedral, then hunt for treasures at Market Square Kauppatori, and finally contemplate in the serene atmosphere at Kamppi Chapel of Silence. To see reviews, maps, photos, and other tourist information, refer to the Helsinki travel planner. Traveling by car from Turku to Helsinki takes 2 hours. Alternatively, you can take a train; or fly. Expect a daytime high around 18°C in May, and nighttime lows around 7°C. Wrap up your sightseeing on the 19th (Sun) early enough to travel back home.